Most people would describe a toothache as one of the worst kinds of pain one can have. Nevertheless, in the “First World” we know that there is an easy way out of it by taking painkillers, accessing a dentist at the distance of a phone call. The idea of a toothache lasting months or even years without being attended is hard to imagine in Goring and Streatley, but easy to empathise with. In developing countries, a large part of the population has no access to basic dental care or pain relief. People can go for months, even years with debilitating dental pain, which may prevent them from attending school or working, losing income, having the potential to impact whole families. In October 2016, I participated in a voluntary trip with a charity called Bridge2Aid. 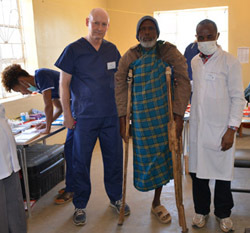 I travelled to Tanzania on a dental volunteering program in what came to be an exciting and fulfilling experience. 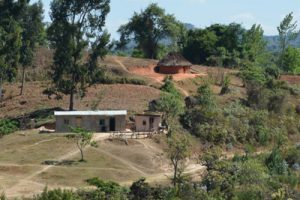 Bridge2Aid works together with the Tanzanian Government to provide emergency dental treatment to rural areas in Tanzania. They do it in a way that really motivated me to participate in this project: a sustainable one; they train local health care workers, enabling them to provide emergency dental care to their patients, in the form of extracting hopeless teeth. Bridge to Aid provides the training they need, support, materials and mentoring even after they have been trained, ensuring that they are safe and effective. We were a team of seven Dentists and four Dental nurses, on a mission to train six Health Care Workers. The Healthcare Workers came from different isolated rural areas and worked daily providing multiple treatments to their patients, like vaccinations, suturing lesions, midwifery. So, they were very competent in their fields and extracting teeth is a skills addition to their repertoire. During the 2-week program, we followed a well-organised schedule. Bridge2Aid have been doing this for over a decade and it shows – they know what they are doing. Every day we would go out fully aware of the learning objectives for the day, we all had standardised resources and methods, so that the healthcare workers would finish their training with the required standard of skills. They got theory and practical training and corresponding exams. We had to follow the program, but at the same time we were always remembered of how important our personal input was, as we are all different and so are our experiences and backgrounds. The local practitioners were rotated between all of us, and it was really amazing to testify the quick progress that these eager to learn professionals would have. 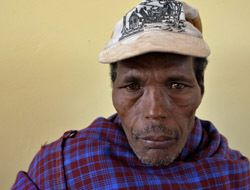 We saw an average of 150+ patients a day, and at the end, we would share our stories with each other. I’d like to share a couple with you. The patient on crutches had been bitten by a hyena and it took him 2 days to walk into our clinic. Nevertheless, it was worth it, he had suffered from a toothache for over 2 years before he saw us that morning. It’s hard to imagine suffering for so long. This farmer (on the right) also had a traumatic story: he had saved up money to see a “local healer” to try and get his treatment done. The treatment caused him more pain, the toothache remained and his savings went, so he was very relieved and emotional about finally having safe dental treatment to relief his pain. 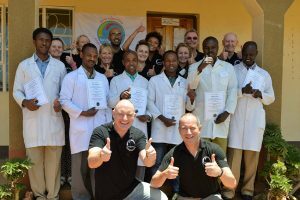 The local practitioners that successfully achieved their qualification were then able to offer their patients pain relief, dental extractions, referrals of complicated cases and even oral cancer recognition. They got kitted with dental materials and sterilising equipment, and also follow up meetings and mentoring. Through this method, Bridge2Aid have enabled 4.5 million people to get access to basic dental care. This experience turned out to be an adventure from the start. We all got to see and experience and understand the culture, taste different foods, challenge ourselves with the toilets, and finally we got to meet lovely like-minded colleagues with who in a few days a special bond was created. We all came back so appreciative for the all we have available to us and felt spoiled by doing treatment with an actual dental chair and lights! This has been a life-changing experience of giving a little, but receiving much more, one that I wish to repeat in the very near future. If you’d like to donate to Bridge2Aid or find out more please visit their website. 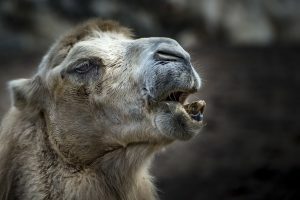 You don’t want breath like a camel do you? Are you covering your mouth with your hand when you talk in fear of your friends having to look the other way? Sounds like you have bad breath (aka Halitosis) but we can help you with our daily tips towards healthy breath! There can be several causes of bad breath. Often it can be prevented by good oral hygiene but sometimes your mouth is trying to tell you something which can require medical intervention. So it is important to work out what is causing your breath to smell badly, check out our tips below. If you’re unsure make an appointment to see one of our dentists and they can help you work out a plan. Brushing twice a day with a good fluoride toothpaste. Brushing your teeth before you go to bed is especially important. Use a non-alcoholic mouthwash at a different time to brushing or at least 30 minutes afterwards. Keep in mind that if a dental problem is the cause of chronic bad breath, a mouth rinse will only mask the odour and not cure it. Floss or use an interdental brush, daily. Plaque builds up on your teeth and collects bacteria that causes bad breath. Don’t forget your tongue! Use your toothbrush to brush your tongue to remove any residue between the taste buds and folds in the tongue. Visit your dentist. If you have chronic bad breath you should visit your dentist first. This will rule out if the bad breath is from a systemic (internal) source such as an infection or diabetes. Book regular check-ups at The Boathouse, normally every six months. During an examination, the dentist checks not just your teeth but inside your mouth, gums and tongue. So will spot anything untoward that you can treat or prevent worsening. These are particularly vital if you have a medical condition that can affect your oral health or undergoing chemotherapy or radiotherapy as you’re more prone to bad breath. If you wear dentures or removal braces clean these daily to remove food debris. Water, water! Drink regularly during the day. Food glorious food! Think about what you eat – onions, garlic, curries and strong flavours will reflect in your breath. Don’t miss meals. An empty stomach can cause bad breath due to acid build up in the stomach. At least munch on a carrot, apple or celery stick. Fresh fruit and vegetables increase your saliva flow which helps wash away bacteria within your mouth that can cause bad breath. Quit smoking and avoid tobacco products. Tobacco can dry out your mouth and leave an unpleasant smell that lingers even after brushing your teeth. So another reason to give up! The Boathouse team want you to look after your teeth and gums and prevent problems occurring so if you haven’t had an examination in the last six months please give us a call. It can not only help your mouth but your bank balance! Fluoride is a mineral found in many types of toothpaste and often naturally occurring in low concentrations in water. Everyday, minerals such as flouride are lost and gained from the enamel (the outer layer of teeth); in processes know as demineralisation and remineralisation. The acids formed during eating are what trigger the demineralisation process which can lead to tooth decay and formation of cavities. Tooth decay is a major health concern worldwide and is one of the most common reasons for hospital admission of children in the UK. Fortunately, this disease is entirely avoidable with a healthy diet and good oral health regime. This is where the use of fluoride comes in! When fluoride is used topically in both toothpastes and mouth rinses it helps speed up the remineralisation process, helping balance out the negative combined effects of plaque and the consumption of sugary foods. How much flouride do you need? The majority of toothpastes sold in the UK contain the advised amount of fluoride, as recommended by The Department of Health. It is useful to be aware of the correct amount of fluoride needed for your age category and the best way to use it in order to reap the benefits. The concentration of fluoride can be found in bold within the ingredients on the back of any tube of toothpaste. To receive the full effects of the fluoride in toothpaste, it is important, once you have finished brushing your teeth to, “Spit Don’t Rinse”, this way you spit out any excess toothpaste whilst still leaving a film of fluoride over the enamel – giving it a chance to do its thing! Below are the recommended guidelines for fluoride use with regards to different age categories. Under 3 years: Brush at least twice per day using a smear of toothpaste containing no less than 1000ppm fluoride. 3-6 years: Brush at least twice per day using a pea sized amount toothpaste containing more than 1000ppm fluoride. Any age over 6: Brush at least twice per day using toothpaste containing 1350-1500ppm fluoride. 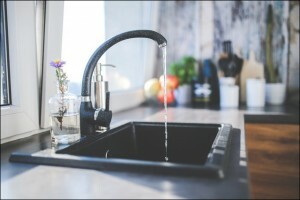 Only approximately 10% of the population of the UK is supplied with optimally fluoridated water, whether naturally occurring or artificially added. If you do not receive fluoridated water it is even more important to ensure that you are receiving the ideal amount of fluoride topically through tooth brushing. To check the water quality in Goring and Streatley please visit the Thames Water website. Checking that you and your family are using the correct concentration of fluoride toothpaste is an easy way of keeping your tooth enamel as strong as possible and it plays a major role in preventing tooth decay. I hope you find this article useful and I’m happy to offer further advice on your next hygienist visit. Everyone appreciates a great smile, however, those pearly whites aren’t just for show! Our teeth play a huge role in both our oral and general health, which is why it is so important to take care of them from the moment the first baby tooth rears its shiny crown. 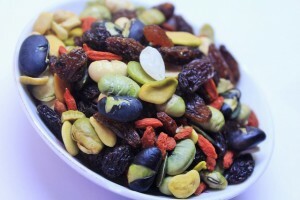 Diet plays a crucial role in maintaining the health and longevity of our teeth. Tooth decay is the most common chronic childhood disease worldwide, but the good news is, it’s entirely preventable. Children’s teeth are more susceptible to tooth decay than adult teeth. However, the same steps apply in protecting them. The main culprit of this disease is, yes you guessed it, sugar! National Smile Month is coming to Goring. The Boathouse Dental Surgery will be holding a special event to support the UK’s biggest oral health campaign. 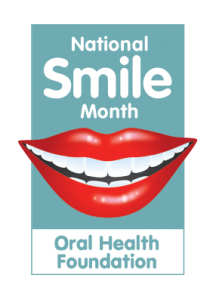 Taking place from 16 May to 16 June, National Smile Month aims to promote and raise awareness of good oral health and The Boathouse team are getting involved in doing just that! To show their support, the team from The Boathouse along with local businesses in Goring will be holding a “Smileathon” that aims to put the smile into National Smile Month. All you need to do is post a “smiley selfie” supplied by The Boathouse to @smilemonth #smileathon #MySmileySelfie on Facebook and Twitter. Or if you are camera shy, why not drop your old toothbrush into the practice. The team will donate a new toothbrush to the Mercy Ships charity for every “smiley selfie” posted or donated old toothbrush. This website is operated by The Boathouse Dental Surgery Limited, which is registered and incorporated in England and Wales, registered no. 9306311. Its registered office is at 8 King Edward Street, Oxford, Oxfordshire, OX1 4HL.